Google's new Android 8.0 update can be downloaded with a very low free space with the help of its feature known as Streaming Updates. Keep reading for more details. It's amazing to know that Android 8.0 OTA updates will still work even when you have very limited free space even as low as 1 KB on your Android device. 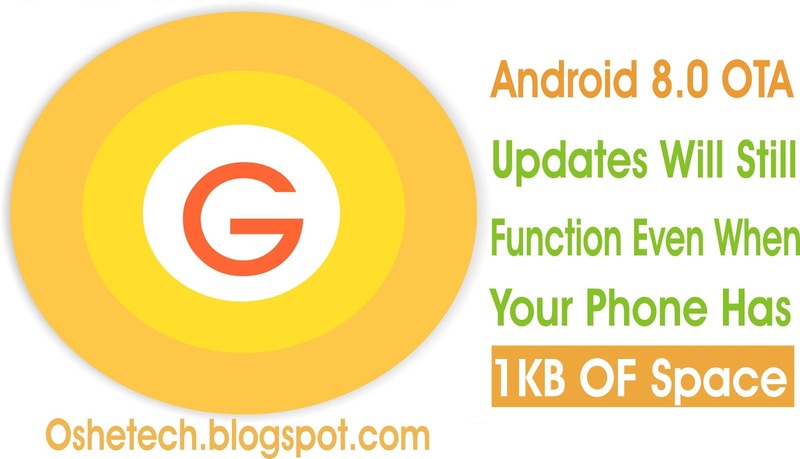 We all know that to download a system OS update on Android devices, it requires massive space of up to 1GB or even more than that to do the task. But as for this Android 8.0 OTA update, it doesn't require much. 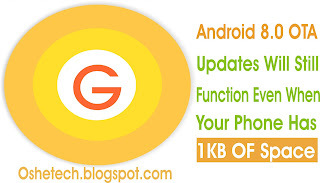 Indeed the tech giant Google has done a great job by finding a solution to this low memory issue Android users usually encounter whenever they notice a system update on their devices and would want to download the update. It's good to know that Google's Upcoming Android 8.0 OS will definitely give users zero stress when downloading its update. In every smartphone, there are two system partitions; the partition A where you can store anything and it contains the device's present Operating System. And of course, the partition B which in it, is stored the original Android files. According to Ars Technica, Google's latest Android Operating System will possess a feature called “Streaming Updates” which will enable Android users to install the new OS without following the usual process. Primarily this feature allows OS update data to be installed from the internet directly to the offline system partition (partition B). Google will be ignoring user storage nearly completely though, would still need like 100KB of unused space for some metadata. And after this, you can restart your device and start making use of your new Android OS. Also, the Google documentation has it that Android devices running on 7.0 Nougat OS will receive same news through Google Play Service update. So what's your take on this? Kindly share your view with us by commenting below, and do not forget to share this news with others using the below share buttons.